David Edmunds was a Bloomington High School teacher when he began his master’s degree in social sciences education at Illinois State. His thesis, “A History of the Kickapoo Indians in Illinois, 1750–1834,” was just the start of his Native American research. After completing a doctorate at the University of Oklahoma, Edmunds went on to become one of the nation’s most prolific writers of Native American history. A descendent of Cherokee ancestry, Edmunds has written more than 100 essays, articles, or short publications. He has authored or edited 10 books, including The Shawnee Prophet, which was nominated for a Pulitzer Prize. He is a consultant on Native American history to tribal governments and Hollywood filmmakers. Edmunds has worked on more than a dozen films or documentaries for PBS, the History Channel, and commercial television. He has also been an editorial consultant to many of the nation’s leading publishers and university presses as well, and held advisory positions for numerous museums and federal agencies—including the U.S. Department of Justice, the Bureau of Indian Affairs, the Smithsonian Institution, and the National Park Service. Edmunds has served as the president of both the Western History Association and the American Society for Ethnohistory, and as a distinguished lecturer for the Organization of American Historians. 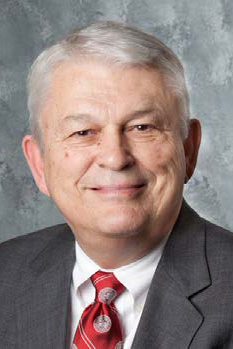 He has received numerous accolades, including an honorary degree from Illinois State, and an Award of Merit from the American Indian Historians Association. He has served on the faculty at the University of Wyoming, Texas Christian University, The University of California at Berkeley, UCLA, and Indiana University. He currently holds the Watson Professorship in American History at the University of Texas at Dallas. At present, his research focus is upon the history of Native American identity, Native Americans in the Midwest and on the Great Plains, and Native American biography.